If you check a map, you'll find that the southern tip of Cebu Island is almost connected to the town of Dumaguete. A narrow channel splits the two, so a ferry crossing is necessary. Here is a quick guide on how to travel from Cebu to Dumaguete (and vice versa) via ferry boat. Go to Cebu South Bus Terminal and take the Ceres (yellow) bus to Santander/Lilo-an (via Oslob). Travel time is 3.5 to 4 hours. Fare is approx P170. You may also opt to take the other route (via Barili) in case you can't get a seat from the first option. Travel time may be longer by about an hour because it traverses to the Western side of Cebu. From Lilo-an port, purchase a fastcraft ticket - ferry boat leaves every 30 minutes. *Travel time is approximately 20 minutes. The ferry dock is located in Sibulan port (not yet Dumaguete proper), just walk all the way out the gate and on to the main road. There, you'll find multicabs/jeepneys going to Dumaguete town. Fare is approx P14. Travel time about 10-15 minutes. There you go. Should you find the instructions complicated, another option is to take the Ceres bus with sign board "Dumaguete" (from Cebu South Bus Terminal). The bus itself will roll onto a barge and drop you off in Dumaguete boulevard port. No transfers anymore. Fare is P300+. Travel time approx 5 hours. What to do in Dumaguete? Check out my itinerary HERE. 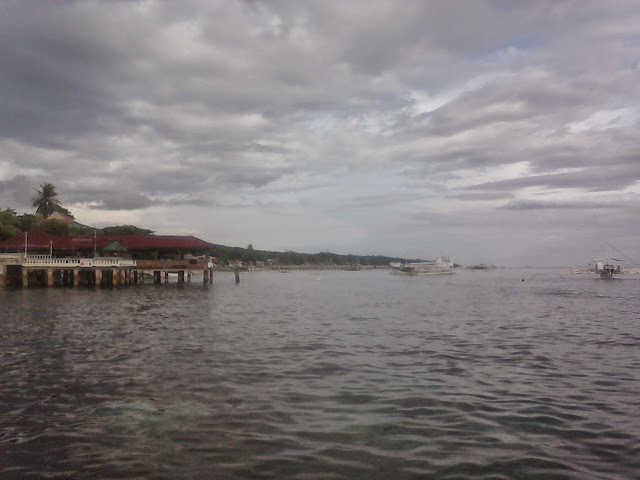 After touring Dumaguete, it's now time to go back to Cebu. From the town proper, hail a tricycle to take you to the public market. That's where the jeepney terminal bound for Sibulan port is located. Fare is approx P9 + P14. At Sibulan port, purchase a ferry ticket back to Lilo-an in South Cebu. There's an option to take the cheaper open-air pumpboat. Boats leave every hour. Travel time is approximately 30 minutes. Ceres buses await at the Lilo-an port area and you can ride one of those back to the City (travel time 3.5-4 hours). Fare approximately P170. You may also opt to ride a van/v-hire (Travel time about 3.5 hours but less leg room; P150 fare). how much it cost? if i go there with my motorbike?